Are you looking for personalized, caring service from a highly trained, qualified and board certified physician? Dr. Archer performs the entire examination and treatment herself, no technicians, just one-on-one professional care. 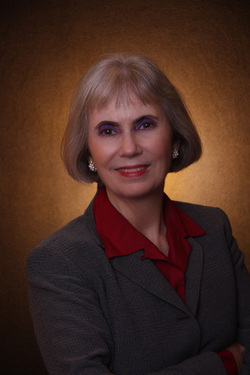 Dr. Kathleen F. Archer, a native Texan, was born in Dallas and attended medical school in Arizona; graduating in 1981. A board certified ophthalmologist, she completed an American Society of Ophthalmic Plastic and Reconstructive Surgeons accredited fellowship in Oculofacial Plastic and Reconstructive Surgery in 1987, and has been a proud and active member of ASOPRS since 1990 after passing strenuous written and oral exams and completing a thesis that was not only accepted by ASOPRS for membership, but was accepted and published by the prestigious journal Ophthalmology of the American Academy of Ophthalmology. She is a Past President of ASOPRS, holding the position of President in 2015, and Immediate Past President in 2016. She was President-Elect in 2014 and Vice President in 2013. She was Secretary of Education for 3 years and assistant Secretary of Education for 2 years. She is a member of the Advisory Board, and was a Trustee of the ASOPRS Foundation for 8 years. ASOPRS was the first recognized ophthalmic subspecialty, the first ophthalmic subspecialty to have an organized society that oversees the training programs of its fellows partaking in accredited ASOPRS fellowships, and the first ophthalmic subspecialty recognized by Medicare and Medicaid. ASOPRS celebrates it's 50th anniversary in 2019. Additionally, Dr. Archer performs functional (medically necessary) surgery of the eyelids, brows, mid-face and lacrimal (tear drainage) system.